Biology 2016 class12th Set-2 free sample question papers of (Biology) are issued by Central Board of Secondary Education (c.b.s.e.) 2016.bio cbse syllabus for class 12th 2016 Reproduction, Genetics and Evolution , Biology and Human Welfare , Biotechnology and its Applications, Ecology and Environment and cbse important question bank. 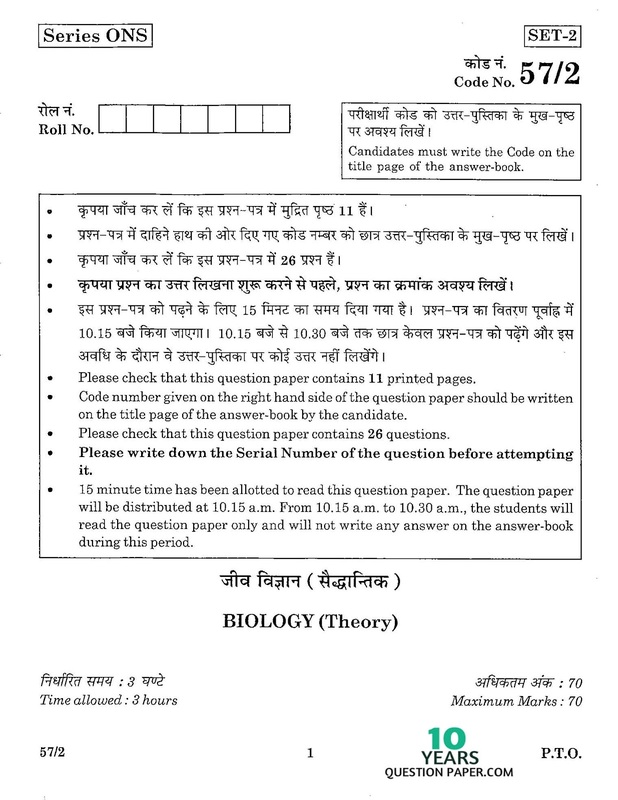 CBSE Biology (Theory) 2015-2016 CBSE Board Exam paper Class XII – C.B.S.E Download Free Online Question Paper. Tags: cbse biology class xii question paper 2016 (set-2),bio theory class 12th 2016 question paper,Biology question papers, Biology (Theory) question paper 2016,cbse class 12 biology question papers with answers,Bio question paper 2016,12th question paper 2016, cbse class xii, cbse 12, cbse 12th standard,cbse class 12 question paper 2016,class 12 question paper 2016,cbse question paper for class 12 2016,cbse question papers for class 12 2016,sample question paper for class 12,cbse sample question paper,cbse class 12 sample question papers,cbse XII Bio question paper,xii cbse question papers,cbse 12th board Biology question paper 2016 (set-2).